Welcome to the house of your dreams! This amazing colonial style estate sits in the hills of corona near iconic places such as tom's farms and glen ivy hot springs. As you enter the private gate you will find a driveway surrounded by oak and fruit trees and the drive way that wraps around a beautiful fountain. As you enter the double door you will encounter a gorgeous foyer, wooden stairway and a mudroom across the hall. To the right you will find the formal dining with a beautiful vintage chandelier and custom crown moldings. As you continue on you will find the large kitchen area with custom ceiling wooden beams, recessed lighting, accent brick wall, granite countertops and tile flooring to entertain your friends and loved ones for days on end! You'll also find a family room with fireplace next to the kitchen and on the other side of the foyer you will find the formal living room with a fireplace and large windows that let in the natural light. There is a full master bedroom downstairs with a full bathroom. This property features an underground theater with a projection tv and wet bar area, a large loft on the third floor and a second floor with a full master bedroom and bathroom, three additional bedrooms, two bathrooms and a den area. There is too much to mention! The beautiful panoramic views with amazing sunsets will take your breath away. Including are stables for 7 horses, pool, horse arena, solar panels and a large lot. Come see for yourself! Don't miss out! 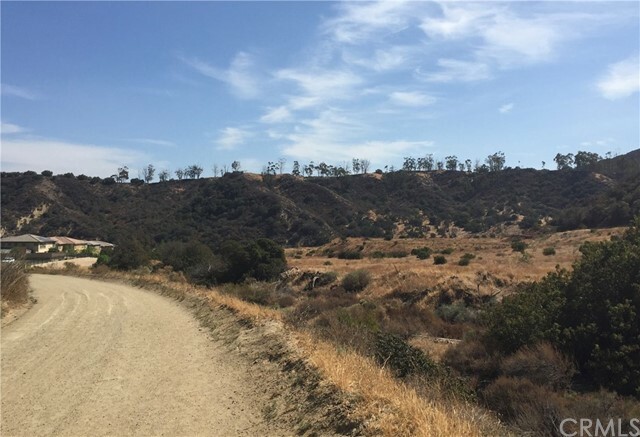 Priced well below the comps in the neighborhood ,this land is located on top of hidden springs and this is a rare opportunity to build your spectacular dream home on this 5 acre lot with great views between high end estates, with pool and spa and whatever your family loves!. This lot is in a multi million dollar neighborhood and it is a horse property waiting for the most sophisticated buyer. 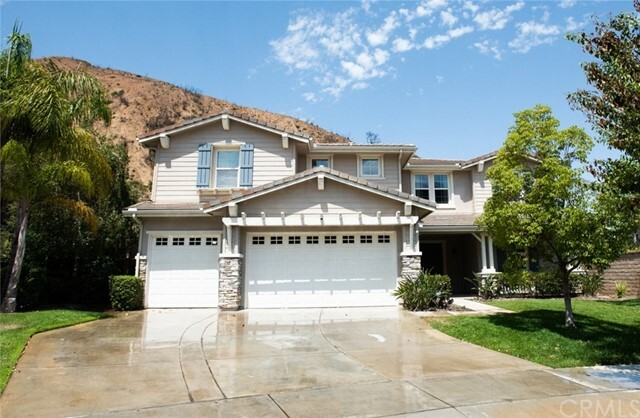 Listing Agent: Ceylan Tecimer Listing Office: Balboa Real Estate, Inc.
Another huge price reduction on this gorgeous cul-de-sac home located in the prestigious gated community of sierra peak in the sierra del oro hills on a single loaded cul-de-sac with only 4 houses. 4 bedrooms, 4 1/2 bathrooms, bonus room, and an office. Enjoy near zero cost electric bills with the fully paid for 9. 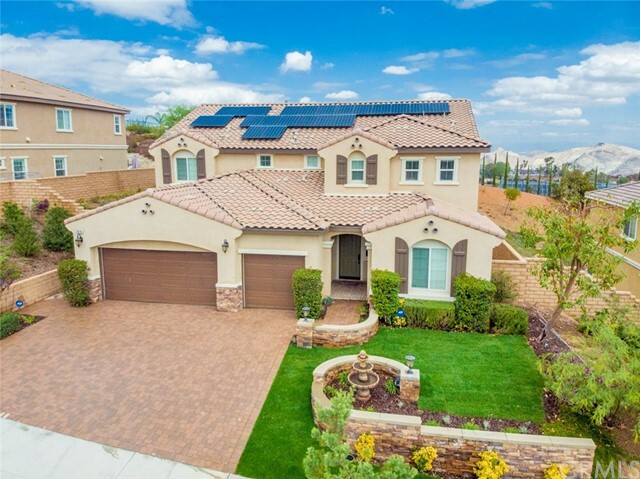 9kw solar system! Highly upgraded with 42" ge monogram built in refrigerator, dcs 6 burner range, warming drawer, double oven, and microwave. Dual zone air conditioning system and a whole house fan. Reverse osmosis to the refrigerator and instant hot system at the sink. Beautiful flooring, cabinets, and granite counter tops. Surround sound speakers in family room, bonus room, and master suite. The garage has cabinets, a work bench, and high-end epoxy floors. Walk into the backyard and be blown away by the picturesque views of the city and hills. Built-in viking bbq, cooktop, drawer, and refrigerator. Raised area with fire pit and water feature. The pool and spa are perfect in every way. Exotic drought resistant plants. This home is turnkey perfect and ready to be enjoyed. 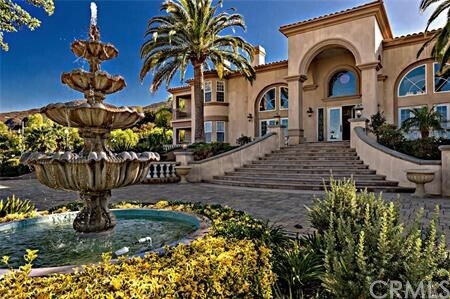 An entertainers dream home. Welcome to sophisticated living! 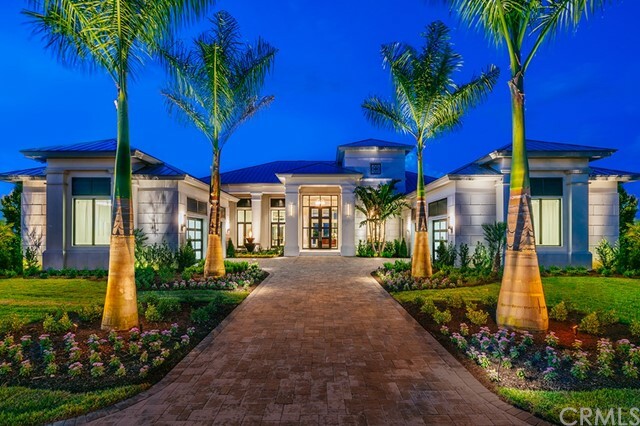 Gorgeous single-story home located in the retreat, entering through a 24-hour guard-gated community to a luxurious sought-after semi-custom estate that is exemplified in details, featuring 4 bedrooms, 4. 5 baths, private front entry & courtyard, through the beveled glass front door arriving into the formal living and dining room, with butler’s pantry, open grand family room with built-in entertainment center & beautifully appointed chef’s kitchen with professional thermador stainless steel appliances: refrigerator, 6-burner range w/double oven, dishwasher, microwave, two uline chilling drawers, one warming drawer, granite counters including huge center island, maple cabinets, and walk-in pantry. Master bedroom offers a sizable retreat, private entrance to rear patio, and huge walk-in closet with custom shelving and storage. Additional amenities: custom built-in cabinets throughout, alarm system ready, in-ceiling led lighting, wood flooring, 6” baseboards, finished trim work around arches, and crown molding, custom silhouettes window treatments, cased window sills, exterior water fountains, garden shed next to herb garden, 2 water heaters, dual a/c units, epoxy sealed garage floor, 2 and one half car garage. Large laundry room with sink and extra cabinet storage. Professionally designed and landscaped grounds featuring a raised rear patio with custom lattice cover. Close to private clubhouse featuring huge pool, dining and fitness center. New price adjustment!!! Model perfect, immaculate home in the guard gated community of the retreat ready for a new family to enjoy! Expansive 6 bedroom 5. 2 bath home on over a 12,000 sq ft lot has numerous upgrades throughout! Dark planked hardwood flooring lead you the the heart of the home with a large gourmet kitchen. 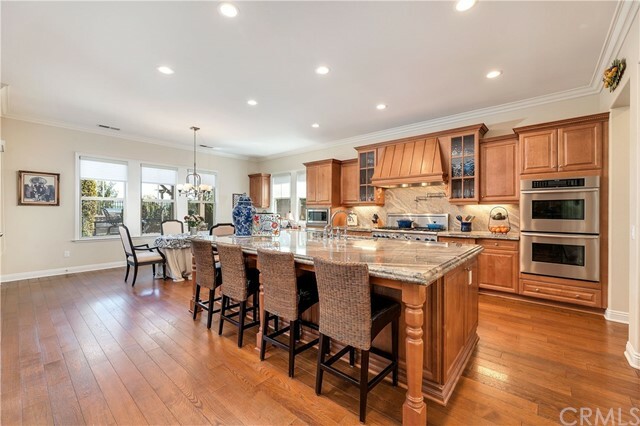 With amenities such as an oversized island with breakfast bar, handcrafted dark cabinetry, distinguished built-in ge profile stainless steel double ovens, microwave, dishwasher and 5-burner gas cook top make this kitchen entertainers dream. There is a spacious family great room off the kitchen with media niche and great view of the backyard through e-vinyl energy saving windows. Also downstairs are the formal dining area, two bedrooms (one en-suite for the multi-generation family with microwave and mini-fridge) and 2. 5 baths. Upstairs you will find 3 secondary bedrooms, 2 more baths, a media room and the master suite/bath with spacious oversized organized closet. Also off the master suite is a balcony which will allow you to star gaze over rolling hills and cleveland national forest. Fully landscaped with interlocking pavers front and rear yards. Call to schedule a viewing today!